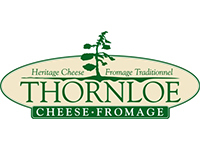 Thornloe Cheese has produced a respected brand of cheese products in Northern Ontario for over 71 years! Our secret to success is old-fashioned cheese making techniques and fresh milk produced in this unique agricultural area. 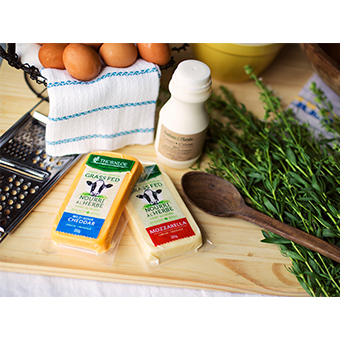 Thornloe Cheese is a 100% Canadian, 100% farmer-owned company. Although the product has grown tremendously from its early days, the company remains headquartered in Thornloe, Ontario, where it was formed. The original home of Thornloe Cheese was built in the village of Thornloe in 1940. René Laframboise took a leap of faith and opened Thornloe Cheese, employing two individuals in the start-up years. Today, Thornloe Cheese operates one central retail store in Thornloe and services a wide range of wholesale customers, from retail outlets to foodservice establishments. Its products can be found in establishments in Northern Ontario and Northern Quebec. The company has developed new cheeses for the Canadian ethnic market and Canada's emerging functional food market. These efforts have increased production in the plant as well as the products available to consumers across Canada. Thornloe Cheese continues to produce a quality Northern Heritage Cheese. Fresh, clean taste with hint of clover. - A new source of healh- promoting ratio of omega - 6:3 fat. - Satiating full fat cheese from verified grass fed milk. - Supports pasture based farming & environmental stewardship.